This article was provided by Healthline.com. If you have dry hair, water is the cure-all. 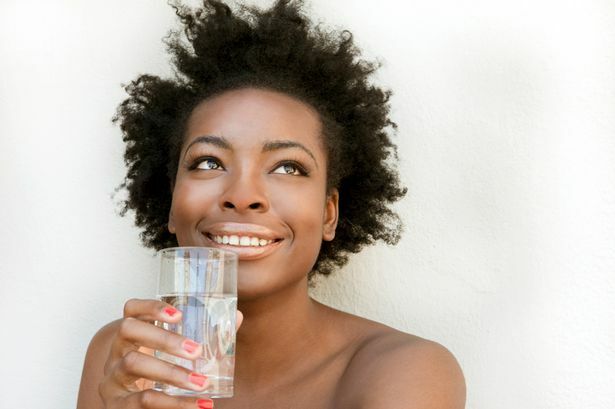 Hair is one-quarter water to begin with, and eight glasses of H2O a day will revitalize your hair and keep it hydrated. 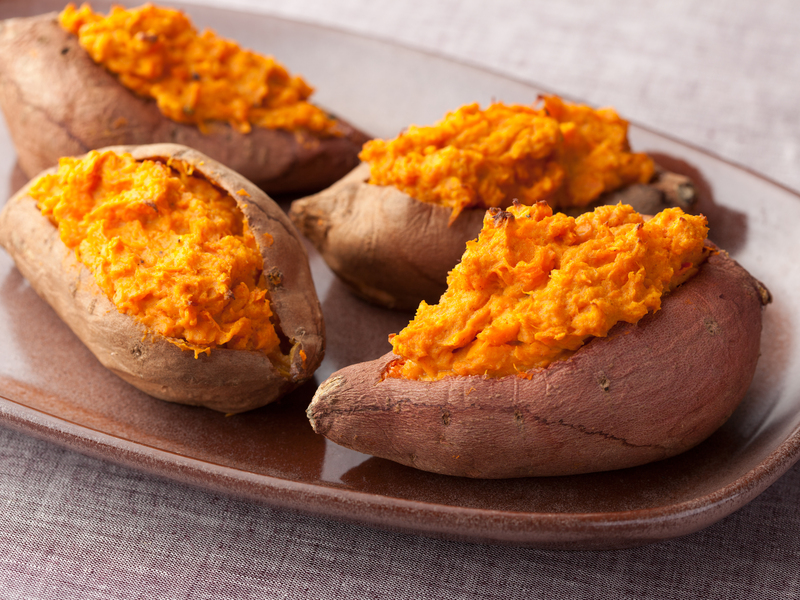 Sweet potatoes are packed with beta-carotene, an antioxidant that fights aging, including your hair. Beta-carotene in foods is converted to vitamin A in the body, and vitamin A is necessary for all cell growth, including hair. A deficiency can lead to dry, dull, lifeless hair and dry skin, which can flake off into dandruff. Additionally, too much vitamin A can cause hair loss. Other foods rich in beta-carotene include pumpkins, cantaloupe, butternut squash and carrots. 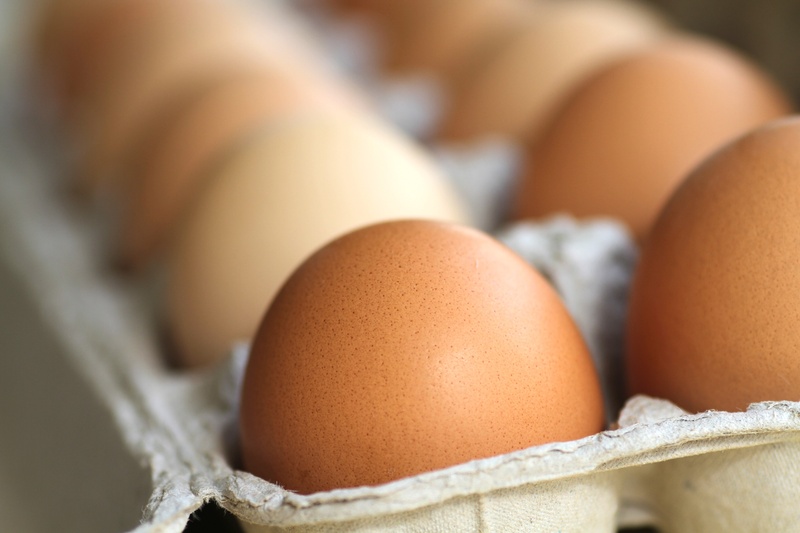 Eggs are rich in biotin, a B vitamin essential for hair growth and overall scalp health. Because our bodies make their own biotin in the intestines, and it is plentiful in many common foods, deficiency is very rare. But in those few cases in which people are very ill and don’t have use of their intestines, biotin deficiency causes hair loss. 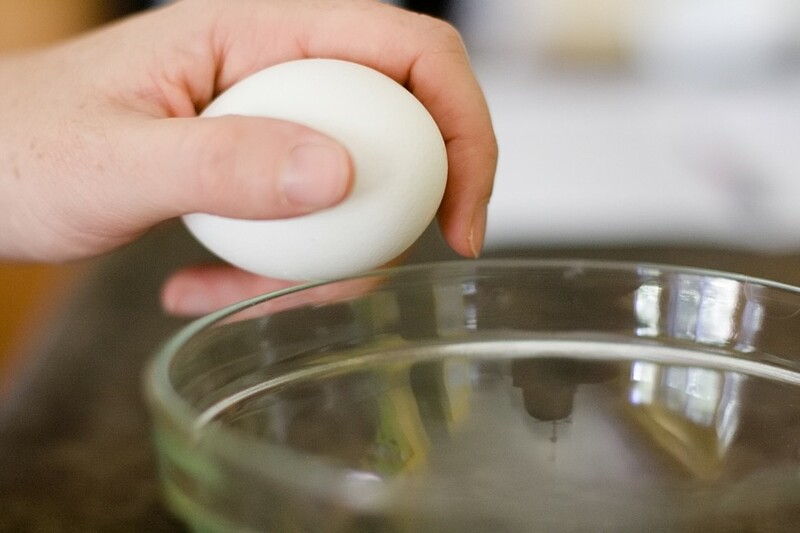 Eat a balanced diet that includes some high-biotin foods such as eggs. Other biotin-rich foods include cheese, avocados and almonds. This leafy vegetable is excellent for your body for many reasons, not the least of which is hair health. The key ingredients here are iron and folate. Folate is a B vitamin that aids the creation of red blood cells, and iron (which spinach is high in) helps the red blood cells carry oxygen. With iron deficiency, a condition known as anemia, cells can’t get enough oxygen to function properly. The result can be damaging to the whole body, causing weakness, fatigue, and maybe even hair loss. Those with sufficient reserves of iron can have great hair health and great overall health. 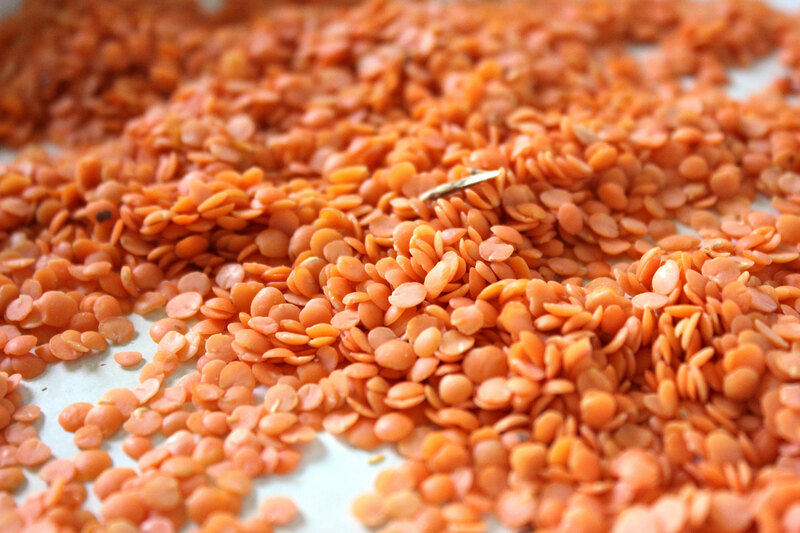 Lentils are a great vegetarian source of iron-rich protein, which is necessary for all cell growth, including hair cells. Hair gets its structure from hardened proteins called keratin. Without enough protein for keratin, hair grows more slowly, and the individual strands that do grow are weaker. Second, the iron found in animal foods — like pork, chicken, turkey and lean beef — is more easily absorbed by the body than the iron in plant foods. Green, red and yellow bell peppers are another great source of vitamin C, which is necessary for hair health for many reasons. Besides helping the body use non-heme iron, (the type found in plant foods), to ensure that there is enough iron in red blood cells to carry oxygen to hair follicles, vitamin C is also used to form collagen, a structural fiber that helps our bodies hold everything together. Hair follicles, blood vessels, and skin all require collagen to stay healthy for optimal growth. Even minor vitamin C deficiencies can lead to dry, splitting hair that breaks easily.. So instead of panicking at the strands of hair in your brush, take control of your body by eating healthier because the health of your hair depends on how healthy your body is. You’ll start to notice more shine and elasticity in your hair if you start treating your body from within. David Novak is a international syndicated newspaper columnist, appearing in newspapers, magazines, radio and TV around the world. His byline has appeared in GQ, National Geographic, Newsweek, The Wall Street Journal, Reader’s Digest, USA Today, among others, and he has appeared on The Today Show, the CBS Morning Show and Paul Harvey Radio. David is a specialist at consumer technology, health and fitness, and he also owns a PR firm and a consulting company where he and his staff focus on these industries. He is a regular contributing editor for Healthline. For more information, visit http://www.healthline.com/. Reblogged this on BLOG WHAT YOU LOVE.